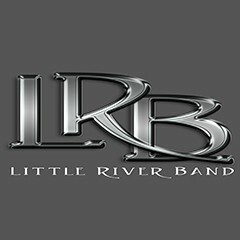 Little River Band was formed in Melbourne, Australia in 1975. It was originally a blend of musicians who had enjoyed success in other Australian rock acts. Their new focus was to get airplay on American radio, and they achieved that goal with good songwriting, powerful vocals, and guitar harmonies. They immediately claimed their place as one of the great vocal bands of the ‘70s…and the ‘80s.Between 1976 and 1983, chart success in America includes the following singles: It’s a Long Way There, Help Is on Its Way, Happy Anniversary, Reminiscing, Lady, Cool Change, Lonesome Loser, The Night Owls, Take It Easy On Me, Man On Your Mind, We Two, and The Other Guy.